Chorus: Heave away, Santy Anno! Antonio López de Santa Anna (c. 1797-1876) is the only person I can think of who managed to be both larger than and smaller than life. Larger than life, because he was three times president (or at least warlord) of Mexico, first in 1836 (when he lost Texas), then again in 1846 (when he finished losing the already-badly-botched Mexican War), then again in 1853, being pushed out of the country each time. (He made one more attempt in 1867, but was captured and the attempt failed). He lost a leg in 1838. He was sentenced to death in 1867. He did not finally come home to stay until 1872. But if his exploits were larger than life, he was himself almost pitifully inefficient at everything except taking power. 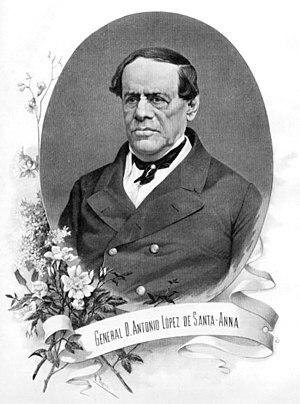 Bernard DeVoto wrote of him, “Santa Anna is the set piece of Mexican history, complete with rockets, pinwheels, Greek fire, and aerial bombs. He had been president of Mexico, dictator, commander in chief, much too often and too variously for specification here. He had contrived to persuade a good many different factions that he was their soul, and never betrayed any of them till he had got their funds…. He had the national genius for oratory and manifesto, and a genius of his own for courage, cowardice, inspiration, and magnificent graft” (The Year of Decision: 1846, Little, Brown and Company, 1943, pp. 68-69). Or how about this: “The amazing career of Antonio López de Santa Anna is so entwined with the early years of Texas and Mexico that it is impossible to tell their history without telling his. Born in 1794 in upland Jalapa into a venerable Spanish Castillian family, Antonio was a quarrelsome boy who matured into a fractious, luxury-loving man. Unquestionably courageous, he was also elegant and charming. His favorite amusements were… gambling, cockfighting, and dancing. He was ambitious, opportunistic, crafty, and egotistical.” (Joseph Wheelan, Invading Mexico: America’s Continental Dream and the Mexican War, 1846-1848, Carroll & Graf, 2007, p. 41). This wild career was enough to get him a song — though not a very accurate one. This is a sea chantey, but David Bone calls it “the most peculiar of all Chanties.” Stan Hugill regards it as a pump chantey, but William Main Doerflinger notes that the rhythm can be quite irregular. I wonder if it wasn’t used mostly in the foc’s’le, for entertainment. All across the plains of Mexico. 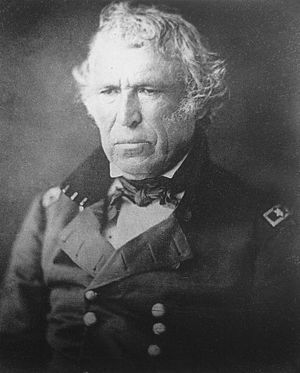 As a sea chantey, this song has not been collected in Minnesota — but Zachary Taylor commanded Fort Snelling in 1828-1829, making him one of the very earliest officers at the first American outpost in Minnesota, so he was an important part of the state’s history. Plus there are very few traditional songs about the Mexican War (the only other one I’ve heard is “On Buena Vista Battlefield”), and the war, and its influence on American politics, had a great deal of influence in Minnesota, causing Minnesota territory to be created earlier than it might otherwise have been. 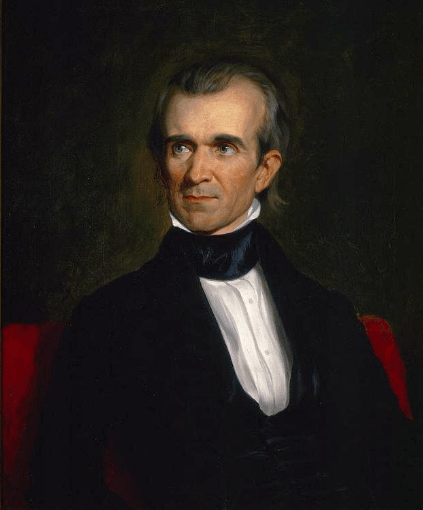 This was because President James K. Polk, a Democrat, wanted to organize the territory before his successor, Zachary Taylor, came into office. Taylor, after all, was a Whig, and could be expected to use the state to provide Whig patronage. In any case, it is nearly certain that the song has been heard in Minnesota, because we know it was sung on the Great Lakes. Ivan H. Watson, who spent many years collecting Great Lakes songs, found at least two fragments, from Captain Thomas Hylant of Buffalo, New York, and Captain Charles Millard of Sarnia, Ontario. Hylant’s text began in exactly the same way as the version in Colcord, except that Watson prints the name as “Santa Anna” rather than “Santy Anno.” This version is printed on page 40 of Ivan H. Watson and Joe Grimm, Windjammers: Songs of the Great Lakes Sailors, Wayne State University Press, 2002. Source: I learned this song, at a hyperkinetic pace, from a group (I believe from Wisconsin) named the Gilmour Brothers. The version given here is what came out after listening to all sorts of people singing this (I’ve even heard a version in Welsh!) But it definitely has more Gilmour than anything else. Their version (and consequently mine) is much too fast for actual use on shipboard — but it certainly can get your attention! Very interesting comment. Should you say me who is the composer of the melody of this song? It’s a traditional song. We usually do not know who wrote traditional songs. We don’t know who wrote either words of music of this song; if we did, I would have reported it.